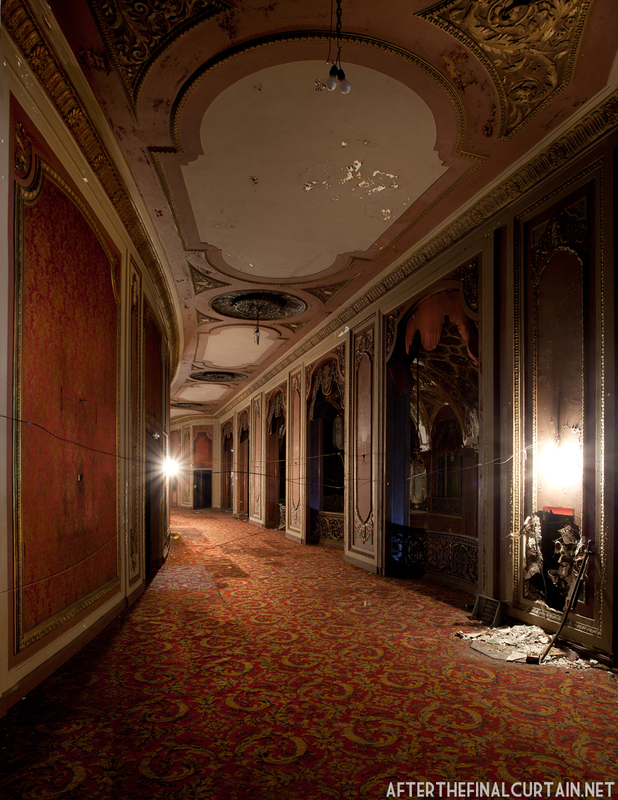 The Lobby of the Loew’s Kings Theatre. The Kings introduced a few well known stars to their future craft. Some celebrities who grew up in Brooklyn attended shows at the 3,676 seat theater, including Barbra Streisand, Larry King, and Ben Vereen. Loew’s dropped the Kings in August 1977 due to low attendance and high maintenance costs, as well as the decline of the surrounding neighborhood. The Kings was passed over for many 1970s blockbusters, including Jaws and Star Wars. Instead, it showed mostly kung-fu and B-horror movies, films that were incapable of pulling in the massive audiences needed to sustain the theater. 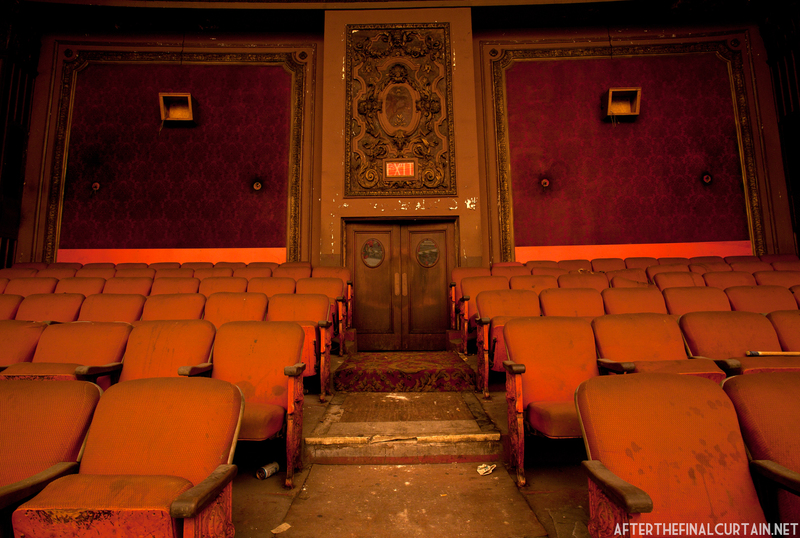 Already visibly deteriorating, the theater was sold in 1979 and later seized by the city for back taxes owed by the purchasing company. Numerous restoration proposals have been presented over the years — including one that would have turned part of the lobby into a wax museum — but only recently have any plans been made official. 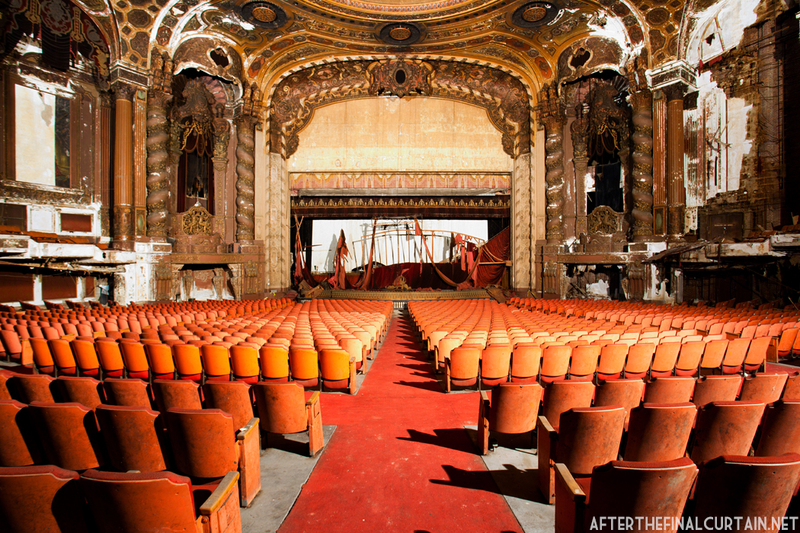 On February 2, 2010, the City of New York announced a $70 million renovation in partnership with ACE Theatrical Group of Houston to restore the Kings Theatre for use as a performing arts center by 2015. 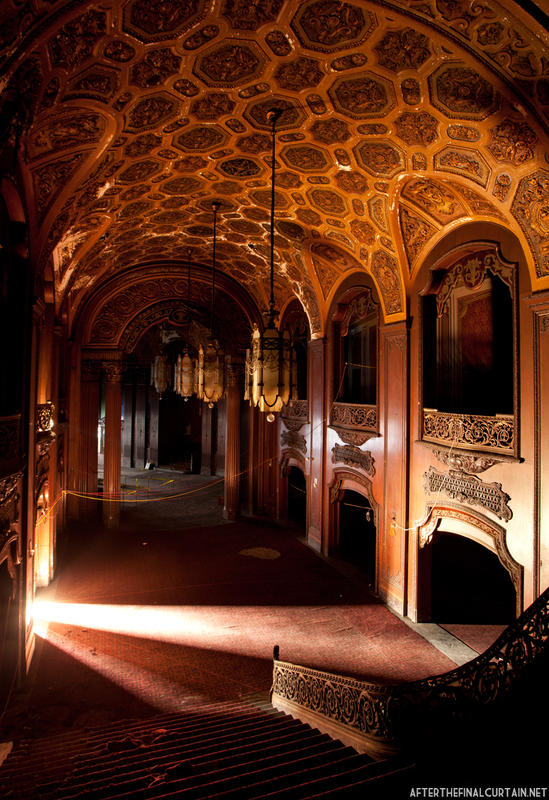 The current plans call for the Kings’ interior spaces to be restored to their original 1929 splendor. 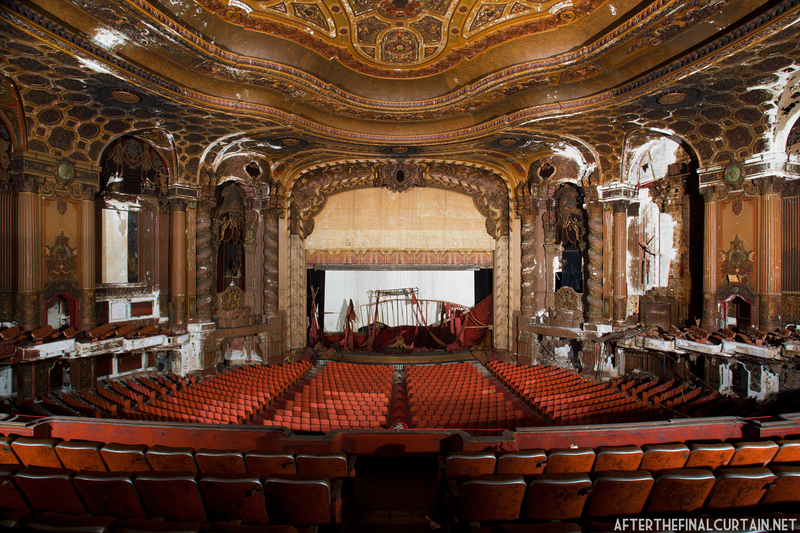 Once reopened, the theater will be the third largest in New York City. 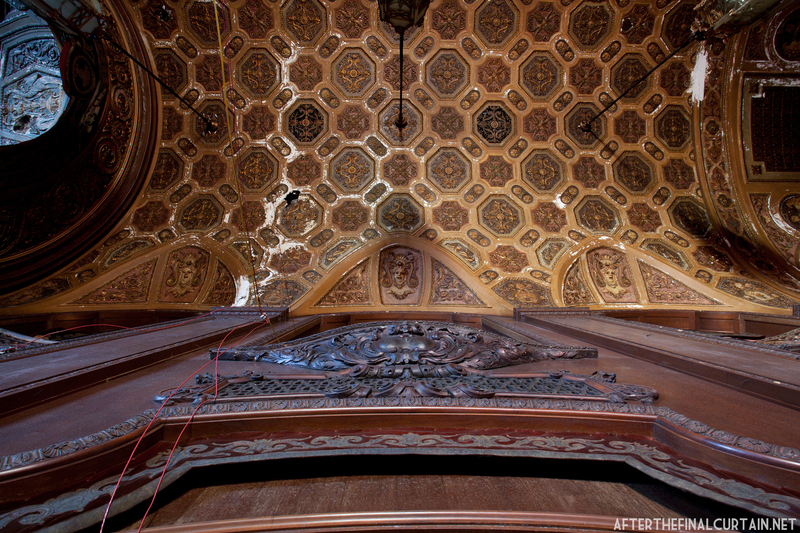 Restoration began in January 2013, and the theater officially reopened on February 3, 2015. 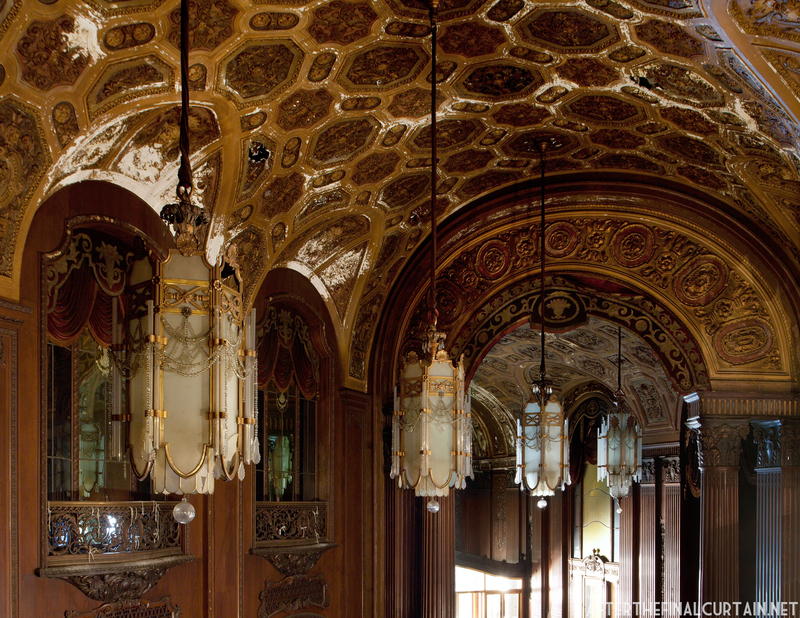 The original chandeliers still hang in the lobby. 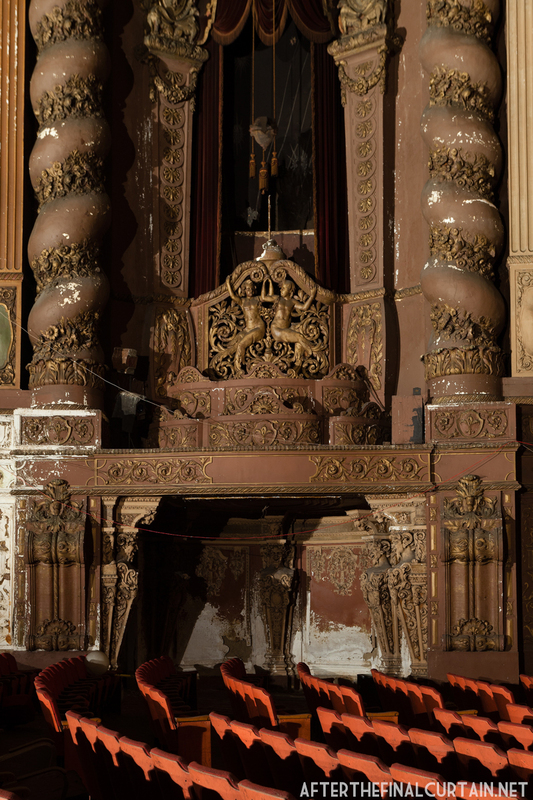 The Theatre Historical Society of America recently published a book documenting the entire history of the Kings Theatre more information can be found at – Kings Theatre: The Rise, Fall and Rebirth of Brooklyn’s Wonder Theatre. One of the entrances to the auditorium. View of the auditorium from the side of the main level. A look back at one of the balcony exits. View of the stage from the side of the balcony. 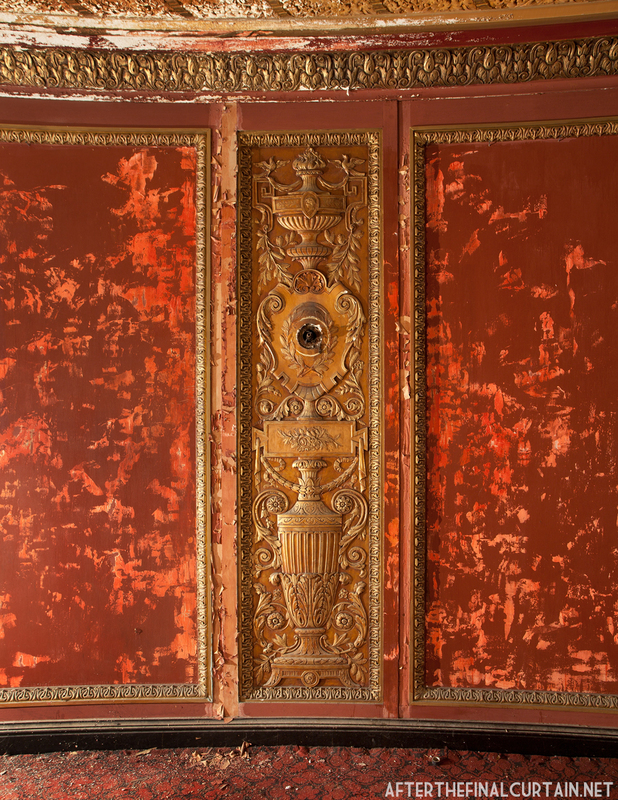 A close up of some of the plaster work in the lobby. The organ chamber at the right of the stage. 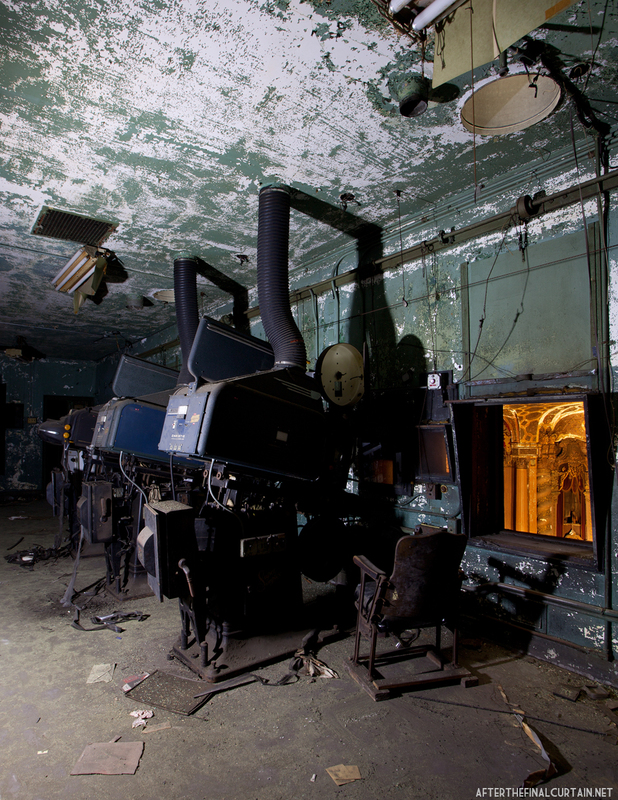 Most of the projection equipment was left behind when the theater closed. beautiful! 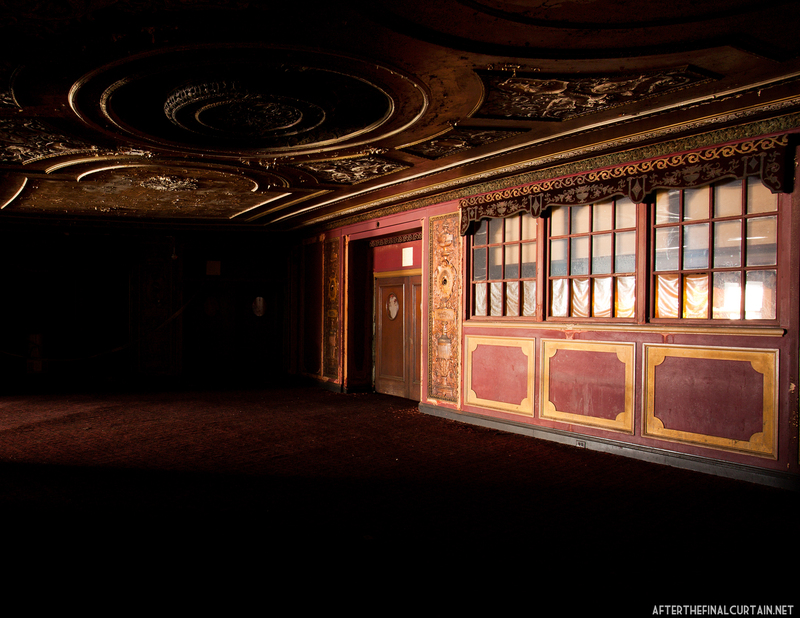 You should try to make your way to Connecticut and check out The Majestic Theater in Bridgeport. It’s been closed for ages, but the inside is in tact and pretty amazing. Such an amazing piece of history. Beautifully captured. These photos are amazing. Very cool. One of these palaces is still open and operating on a semi-regular basis. The Loew’s Jersey in Jersey City. They have themed weekend showings like old horror films, or Chaplin or Laurel and Hardy. Easy to get to on PATH! 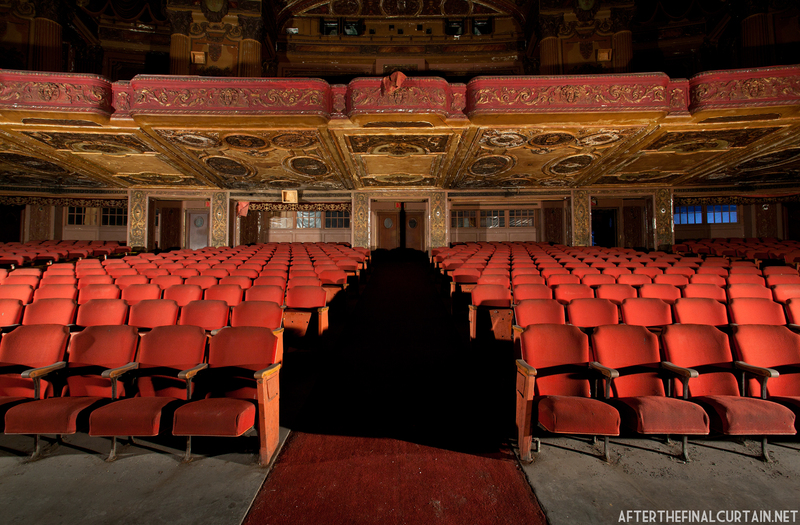 There were 4 theaters along Flatbush Avenue – the Astor, the Albemarle, the Loew’s Kings, and the Rialto. The Kings was just majestic, standing out among all the others, and showing ‘first-run’ films when they came to Brooklyn. Many a Saturday during the ’60’s, I would go to watch as many as 10 cartoons, a newsreel, and a double feature, plus Coming Attractions. Those were great times. Did you forget about the Fox or the Brooklyn Paramount which were also on Flatbush? No, the Fox and the Brooklyn Paramount were/are on the Flatbush Avenue extension, not Flatbush Avenue itself. Plus, they are almost four miles from the Kings in a completely different neighborhood. The Astor, Albemarle, Kings, and the Rialto are within three to four blocks of each other. There was also the RKO Kenmore on Church Avenue a few blocks from the Kings. I used to go to all those theaters. The Astor played the foreign and art films. Next door to Erasmus HS. Enjoyed your images and background. Have you thought of doing some HDRs of the theaters? I know it would look great. Thanks. To be honest, I’m not a fan of HDR and never really considered it. What a fantastic set of pictures. I grew up in Manhattan but I went to Brooklyn College. I have wanted to get in there for 30 years, especially after i saw “Memoirs of a Movie Palace” (it was shown on PBS once). Are the Orchestra and Organ lifts still there? It appears that the stage elevators have collapsed. Is that the case. Thank you again for the great pictures. Thanks! The orchestra lift is still there, but the organ lift is not. I think it was sealed up when the organ was removed in 1974. The curtain collapsed on to the stage, if there was any stage elevators on the stage, they’re probably under that. 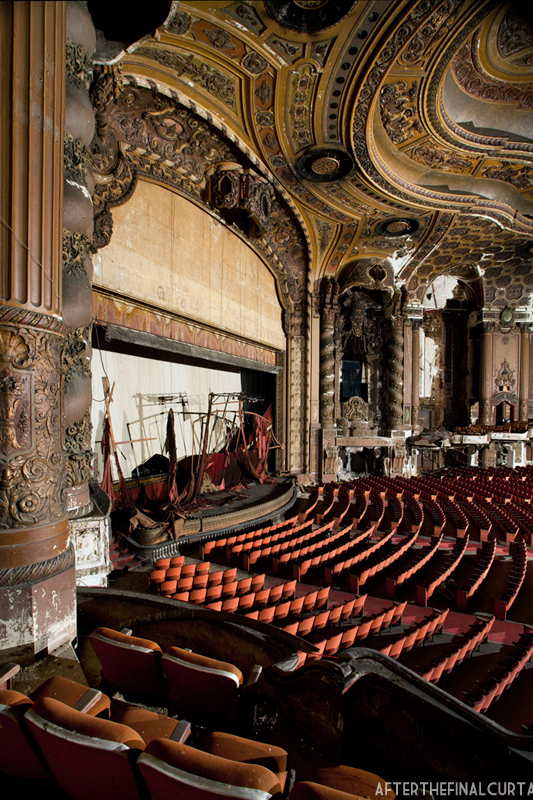 Just stumbled upon your blog through a post of 75 abandonded theatres. Would really like to go check this out. Is it open to get in or did you have to find your own way in? The Kings is currently being restored, and no one is allowed inside. That looks like a beautiful theater, both inside and out! Good luck to all you New Yorkers, and enjoy the new theater when it re-opens! My brother suggested I might like this website. He was entirely right. I love historic theaters. Great Pictures. I remember sitting in the children’s section. They had matrons there to watch all the kids that were there unattended. Every time me and my parents would pass King’s theatre, I’d ask them what it was but they could never tell me. I would always try to imagine what was inside and this is way more than I expected. I’m in awe of your photos. It’s like I’ve stepped back in time! I’m amazed that this space hadn’t been converted to a big box store – thankfully. Are there any photos of the wonderful Roxy Theater in Manhattan? I saw some great stage shows including Danny Kaye there as a kid. Radio City Music Hall only one block east seemed to take the Roxy’s thunder away after it was opened. How about the Capitol on Broadway @ 50th Street? When the Loews Kings was in its final days, I was working for a local Brooklyn newspaper chain (whose main office then was on Flatbush Avenue). I got to know the woman who managed the Kings, and even did a piece on her. She had some wonderful photos; the one I remember most is of her posing with Bette Davis and Joan Crawford (who were on a promotional tour for WHATEVER HAPPENED TO BABY JANE). 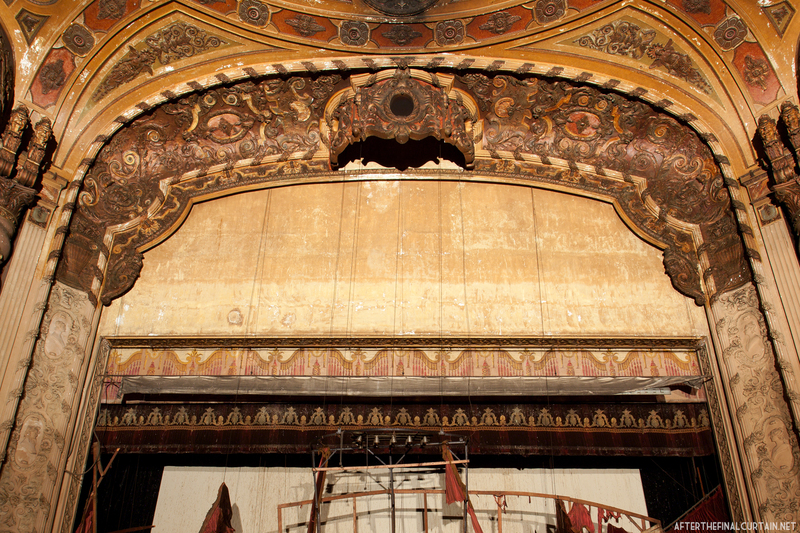 Here are a couple Kings-related stories from when the theater was on its last legs. On one occasion (or so I was told), there were just three people on hand for an evening screening– and two of them mugged the third. (As I say, I have no idea if this actually happened.) Then another time, just one person showed up for a final evening screening. Several employees needed to remain on their jobs for as long as the theater remained open and the patron was told that, if he left early, he would have his money refunded, etc. But he refused to do so. He was adamant that he’d paid for his ticket and insisted on seeing the movie– even though he was the lone patron in the cavernous theater. And the manager had no choice but to screen the film for him. Evert time I view your photos of The Kings I am blown away at your talent. What most of the public doesn’t realize is that there was very little light in the theater when you photographed. I remember only a few bare bulbs on some visits. We all aided each other by shining our flashlights and aiming on the details jointly. I envy you for having the chance of chronicling this gem. Your passion will shine in every print. Thanks, if The Kings could talk she….hmm..he , would say thanks too. I live a block from this theatre and have been following the renovation for a couple years! They let me in to see it as well ‘cos I was so excited about it but I didn’t have a camera to capture the beauty of it- so happy to have came across thia, love your work! 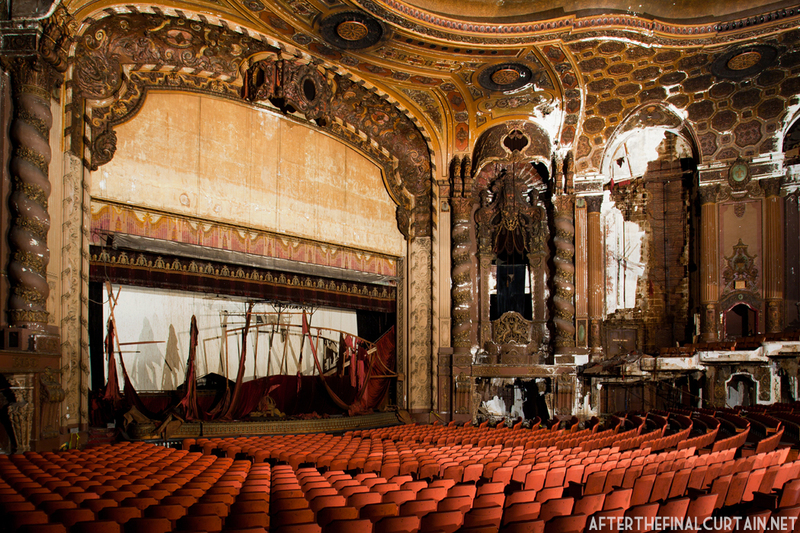 It has been so depressing to watch stunning movie palaces vanishing across America, especially ones I grew up experiencing firsthand as very special places that gave ordinary people a welcome break from hard work and an architecturally colorless everyday environment. 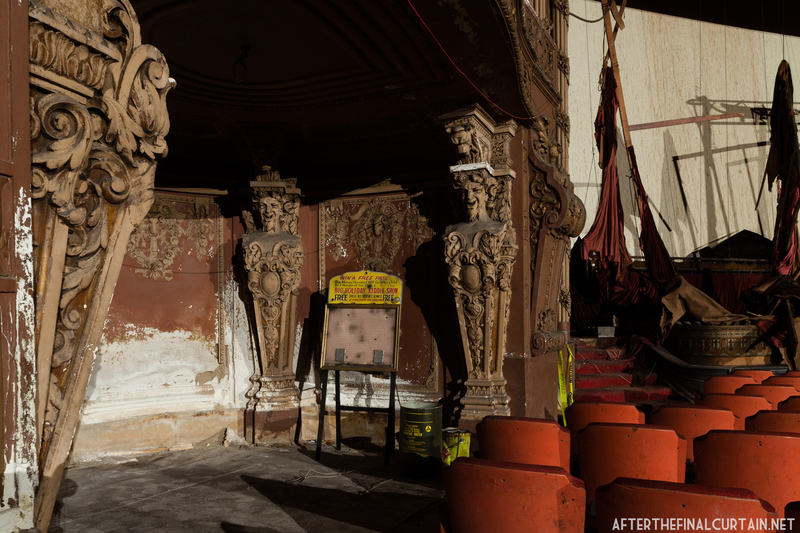 What a boost to see the restoration of the Kings Theatre, even if one lives far away from Brooklyn. Cannot wait to see your book! Just sublime, if Edward Hopper were alive today he would be painting and sketching here no doubt! Superb photography, well done!